When I asked Mr. Manelick for a job this summer, back in April, I was not really expecting that he would actually have an opening for me. But sure enough he told me he had a two week long internship for me in May, following him all around Alaska while he conducted his spring bear hunt. I was ecstatic to say the least. We talked on the phone several times before I arrived back in Alaska for my summer off from college. Not more than two days went by before he came to my house and our adventure started. The adventure of a lifetime I might add. We traveled as far north as Talkeetna (where we could see the tallest mountain in North America, Denali, clearly) and as far south as Valdez. While on the journey we encountered Black Bears, Grizzly Bears, Dall Sheep, Mountain Goats, Moose and of course the state bird: MOSQUITOES! Of course Alaska’s state bird is not a mosquito, but the joke goes that they are bigger than half the birds roaming the last frontier and more ubiquitous than the other half so they might as well be. 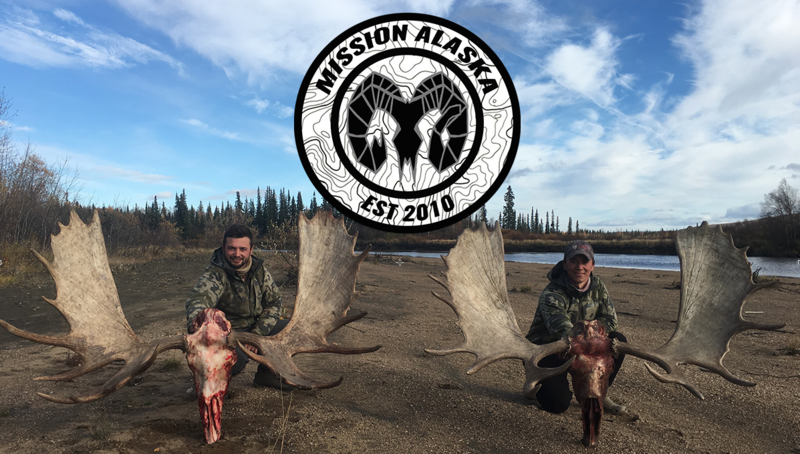 From learning the ways of a true Alaskan Sourdough (Vince P) to learning everything there can be learned about hunting from a veteran hunter (Austin M) this internship was truly a once in a lifetime experience. Over the course of these two weeks we saw no less than 40 bears and in between 15-20 sheep and goats. 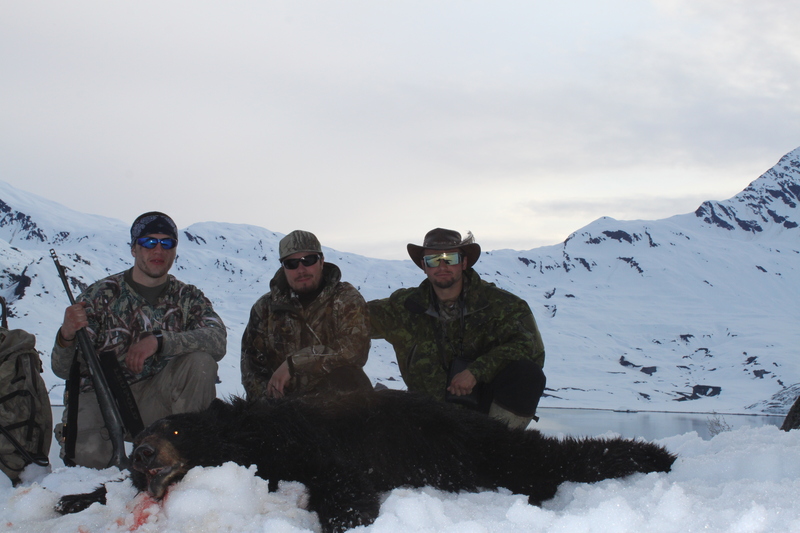 From a life or death situation of a capsized boat in the glacier fed waters of an Unknown Alaskan Lake to getting Austins bear kill on video and then him getting my bear kill on video this adventure was a trip of a lifetime. 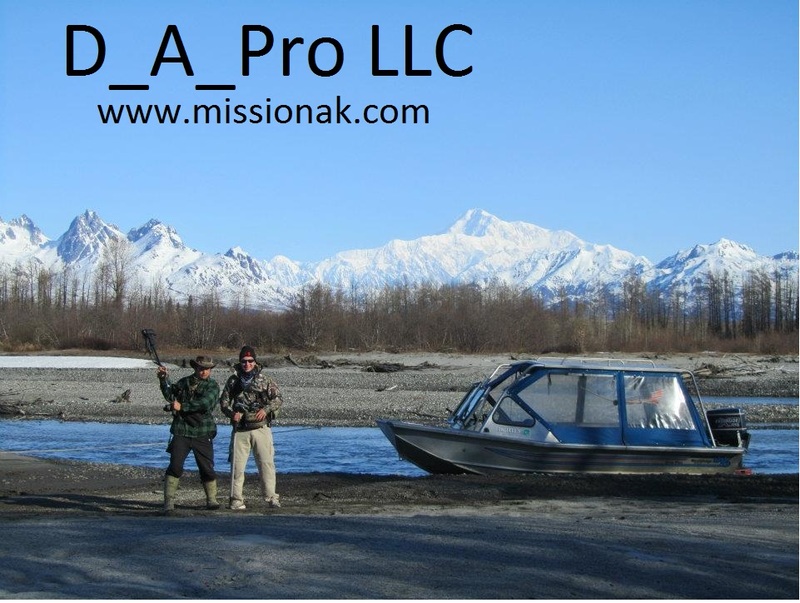 On a side note I would like to thank the fellow hunters on the Unknown Lake that came to our aid when our boat capsized in the frigid waters of the Alaskan Wilderness. Without them Austin and I would have undoubtedly had to “Siwash” that night.